Pakistan is facing immense wave of terrorism and thousands of citizens and soldiers of Pakistan sacrifice their lives in this terrorism but there is big role of fake registration of sims and misuse of technology in expansion of terrorism in Pakistan that is why government of Pakistan is making focus on biometric registration in Pakistan. Biometric registration means that cellular companies will take not only the national identity card numbers of customers but they will also have the thumb impression of the people who are the owner of their sims to make sure that only people who own sims are using their sims. 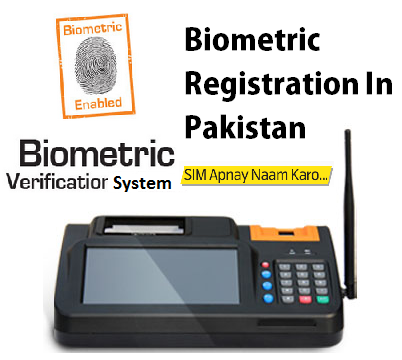 You can register your sim on biometric system by visiting your local franchise which is near to your home by keeping your original card of Pakistani nationality which is national identity card number and the sim which you wants to get register. the representative of mobile phone company will take your thumb impression and you will get registered with your sim on and you will receive message on your phone number that your sim is verified on biometric system.it is totally free service and no one can demand or take money for it so you are requested to inform Pakistan telecom authority about any suspicious activity of taking money from cellular sim owners. If you had taken your sim from franchise which had taken your thumb impression on biometric system then there is no need to one again verify your sim on biometric system. There are many people in your nearby which proclaim to verify your sims on biometric system by standing on roads and footpaths money from you because these people art taking the advantage of huge lines of people at the front of mobile franchises so you are advised to stay away from such people. you are also advised that if you receive message on your mobile that your sim is not verified on despite of the fact that you had done verification of your sim than immediately call the help line of your respective cellular company so that you avoid the struggle to one again done biometric registration of your sim. It is very good step taken by government to ensure protection of people because more than seventy percent crimes is Pakistan are associated with these fake sims and people who have no link with criminals had to face the circumstances because these sims had been registered on their identity cards.it will not only stop flow of illegal sims with fake details of registration but will eradicate capacity of terrorists and criminals to hide their identity but mobile companies must give incentive to masses by upgrading their capability of verifying sims on biometric systems so that all the sims become biometrically verified in minimum possible time without any hesitation and hurdles because many people are getting money from owners on name of quick verification of sims. LTE stands for Long Term Evolution technology which has higher data transfer speed than any other technology in world of mobile internet. Warid 4G LTE is better because of its speed is excellent and data transfer rate is also good than any other. Warid took long time to launch its fast mobile service in Pakistan and did not take part in bid for 3G & 4G mobile internet service which was held few months ago by PTA in Islamabad. Many warid customers left the service due to late launching of its high speed internet service but indeed it much awaited and excellent move by Warid because LTE will not only open doors of high speed internet for its customers but also it will take part in progress of telecommunication and information technology in Pakistan. 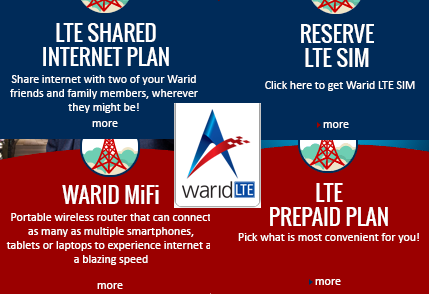 According to Warid you can use 4G LTE if you have 4G LTE sim given by warid which is available at its franchises and handset which has option of 4G LTE in its settings. You have to select any bundles of 4G LTE and then use in any 4G LTE enabled coverage areas across the selected cities in Pakistan but soon it will be available at the mostly cities of Pakistan. 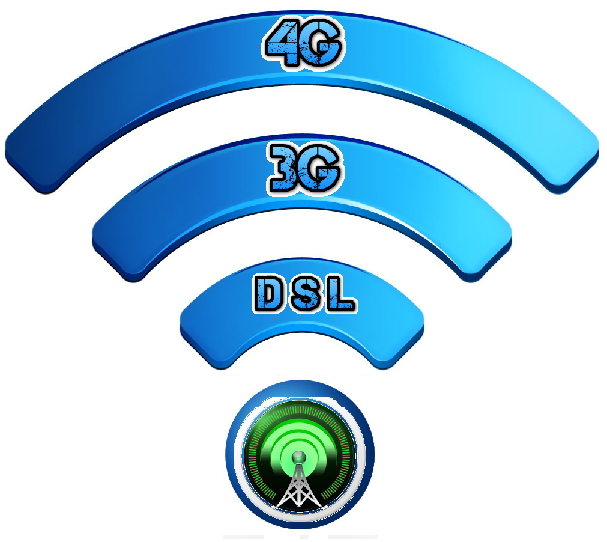 Many cellular operators including ufone, zong, Telenor, mobilink are giving their users access to 3G internet and zong is giving access to 4G services but LTE is quite different from 4G and 3G because it has long term battery consumption and highest speed feature provided by any telecom operators in Pakistan. Warid telecom called launch of 4G LTE in Pakistan as its big milestone in progress of telecom industry of Pakistan and step towards technological progress in Pakistan. People of Pakistan can use this fast mobile internet service to stream live music and videos, download internet, watch news and dramas and everything they want to do on internet. It is also interesting to know that it is faster than broadband services in Pakistan and warid telecom has spent millions of dollars upon establishing infrastructure of 4G LTE in Islamic republic of Pakistan. telecommunication experts have given prediction that warid will once again take back its former customers and also prevail over other mobile internet providers in Pakistan due to successful launching, after so much delay and time. The PTCL Smart TV App in Pakistan Number One online IPTV Service App. 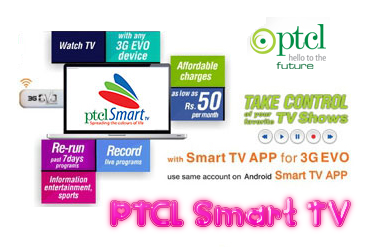 It not only offers high quality Television Picture for online users but also Video on Demand service for internet users by Installing PTCL Smart TV App.Catch up TV is most interesting and important feature of PTCL Smart TV which is also available on PTCL Smart TV App by using this you can rewind your favourite channel and can watch program whenever you want to watch it. PVR is also an important feature which allows users of PTCL Smart TV App to record programs of their choice and watch them at time of their convenience. PTCL Smart TV App users can also ‘rewind’ and ‘pause’ live TV channels through TSTV (Time Shift Television) function. Users can block or unblock any Television channel for parental lock to access complete control on immature users especially children. Video on Demand is also important feature of this smart TV app which allows you to search your favourite music, program and movie videos to watch them. You can download PTCL Smart TV App for android, PTCL EVO and ADSL connection. You have to call 1236 from your landline number and book your subscription for PTCL Smart TV App.You has to pay 50 rupees per month for subscription of PTCL Smart TV App. This PTCL Smart Television Application is very popular among online viewers of national and international television channels who miss many programs, videos and music shows on different television channels due to daily tough routine of official work. This app enables these people to rewind their favourite programs and watch them when they got free. It has hundreds of popular channels and one can find their favourite channel of any category including entertainment, news, religious and sports. • All the PTCL customers can avail this offer including ptcl evo and ADSL. • PTCL Smart TV App is available only on One Laptop at one time only. PTCL Smart TV application is very popular because you just have to install this application and activate your subscription and then watch all your favourite Television channels, Movies, Songs, podcasts and much more without giving order of PTCL Smart TV and paying 1200RS per month and PTCL is planning to increase number of channels and features on this smart television application which is already available on android, EVO, PTCL Broadband, and breaking new records of popularity every day because many people have no time to watch television but they want to remain update about news, sports, current affairs, weather and entertainment 24/7 so they can watch their favourite channels by using this application either they are driving or working in office and it was basically the key agenda behind launching this application which is now available in all major cities of Pakistan . It is very common that when you ought to buy something you hire a real estate agent for which charges 3% of the total transaction from you. If you want to buy home of 1000$ then real estate agent will charge 3000$ from you. Agent charge from clients because they fulfill their needs of luxury apartment, swimming pool for their children, and basketball court for their family. 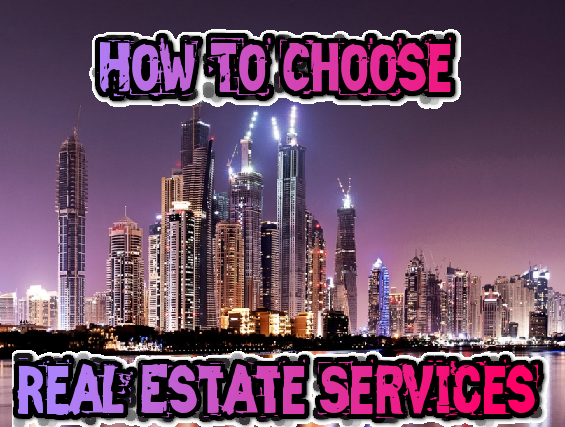 Any person in the society or city does not know where that typical apartment is located which is according to the demands of the buyers and we provide the information about the location of property and we help the buyers to negotiate in proper manner and systematic approach with the sellers promise some services with their clients when they wish to buy apartment and our services include. If you use services of our online real estate website then we will be fair in our dealing and business negotiation because we are the members of National Association of Realtors (NAR) and we are bound by the code of conduct and ethics of NAR to deal our clients in fair way and don’t mislead them because if we found guilty they can cancel our membership and ask us to pay huge amount of fine. That is why we are best choice of online real estate. We have the idea about the market price of any house or apartment you tend to buy. If you want to buy apartment situated far away from your house and you have no idea about the price of that apartment. You will underestimate or overestimate the price of that apartment but we will use our experience and in few minutes will tell you about the accurate and real value of that apartment. You just will have to sit down in front of your computer screen and will have to wait for our quicker experienced based online real estate response. If you want to buy apartment in better condition then our home inspector will inspect the apartment and our repairing team will repair the apartment if required. You will not have to spend your time and money for the renovation and repairing of house we will do it for you. sometime seller does not tell his neighbor or relative about his intimation to sell home due to personal reasons but he only tell online real estate website. We know the location of selling home and we provide you with the details about available homes because we professionally do it on very large scale and it is source of publicity of selling homes and apartments. If you want to buy apartment for you then we will let you know about the available apartments. Only real estate agent will tackle the paper work and the documentation of the transaction because it is expertise of real estate agent that we fulfill these legal requirements in very less time with the help of our lawyer hired for this purpose. You can rely on your online real estate website to guide and facilitate towards your new house full of your demands. There was a time when YouTube was daddy of all online video sharing websites. But as the time passes a common internet user can’t relay on an only platform to stay update. First there arises a question that why we should find an alternative to YouTube in Pakistan?The answer is very simple; being a parent or an elder sibling we never will let our children and younger brother/sister to visit every sort of videos on internet especially on YouTube. Where, there is no manner of video filtration and content censorship. Any one with anonymous user name can upload any kind of material on YouTube. In this article today we will discuss about the top 5 alternative websites to YouTube. Dailymotion is a French website in this website a user can upload, share and view different videos. You can find a lot of music and entertaining stuff here. Dailymotion is very popular due to its high quality video sharing. The main reason of the shifting of a user to Dailymotion is a protected copyright it apply an acoustic fingerprinting system that can notice copyrighted videos and avoid their publication. It is a very fast-growing platform with fairly serious internet traffic. Not like YouTube, Vimeo mostly has proof-looking videos and has two alternatives for its users: a basic account with restrictions and a paid one ($59.99/yr) with advanced options and bigger space. Vimeo.com was the first website that support the 1280x720(720p) HD videos to its users. And it believes on HD quality result to its users. Veoh is famous due its internet television that hosts studio material, independent productions and user-generated material. Veoh.com uses both technologies peer-to-peer and Adobe Flash-based streaming video technology. A publisher can use its PC to upload a video content. It offers two viewing options that allows viewers to watch streaming web video from across the Web including via their iPhone, iPad, or iPod touch and Although Veoh.com offers a wider selection of network television content and allows viewers to watch full episodes of TV shows and full-length movies. Metacafe.com is specialized website in the form of short movies, games, music and sports. Metacafe.com has approximately 40 million unique users every month. 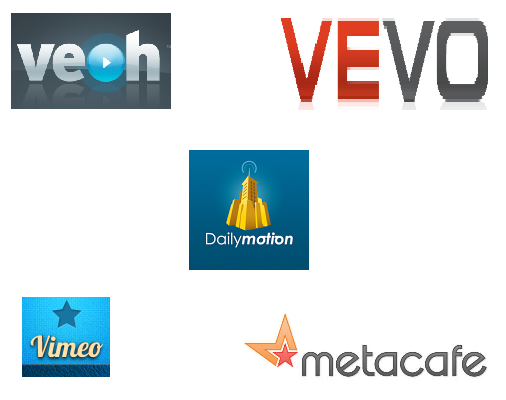 Like other video sharing websites Metacafe doesn't host any duplicate video. A video can only be uploaded once on this site. And if your video is popular among users and have 20,000 viewers then 1 Metacafe will pay you 5$ per 1,000 views. It is a very good motivation for online user to produce nice and cool videos. People of Pakistan have witnessed the very huge revolution in the field of Information and Technology on 23rd March 2014 when Pakistan Telecommunication Authority (PTA) auctioned the 3G and 4G spectrum. The biggest success of this auction is that PTA and the Government that it has been directed in a very smooth and orderly manner without making any debate of any wrong doing. So many congratulations are due to all those who worked for this biggest achievement in the Government as well as the PTA . Four top leading telecommunication companies (Zong, Telenor, Ufone and Mobilink) participated in this auction. Warid telecom doesn’t participate in this auction. Pakistan Telecommunication Authority has expected to generate at least US 1.305 billion dollars from the auction. Ufone, Mobilink and Telenor had won licenses whereas Zong had captured both 3G and 4G licenses. According to some media news Warid is going to beat all its competitors and decided to launch 4G LTE with the permission of PTA. Before the launching of fully functioned, 4G facility all telecom companies are providing their Internet facilities to different cities of Pakistan on free trial basis. In today’s article I’m going to describe you about the free trials of 3G and 4G of different telecom companies in Pakistan. It has announced its free trials services in four main cities (Islamabad, Rawalpindi, Lahore and Karachi) of Pakistan. Ufone has detailed description of 3G coverage areas in these cities on its website. The users having 3G supported smartphones can enjoy the thrill of this technology. It has started its free trial services in five cities (Karachi, Multan, Faisalabad, Quetta and Peshawar).Whereas Mobilnk yet to issue an official statement on commencing of 3G trials. According to some media news Mobilink is testing in partial parts of Rawalpindi / Islamabad and Lahore as well. It is the only company to have paid the license fee to PTA; it means that is the only company to have the right to launch 3G commercially for now. For some time Telenor will ignore Karachi and Lahore when it will launch commercial 3G as company plans to support its signals and networks in these two cities. It is the first one to offer free trial services in Islamabad, Rawalpindi, Karachi and Lahore. But Rawalpindi and Islamabad will take a lot of attention from Telenor. It has the x-factor that it is the only and the first telecom company that has won both 3G and 4G spectrum in PTA’s auction. Still Zong has not reveal its free trial, But by using Zong you can enjoy a very high speed mobile Internet with maximum speeds of up to 42 Mbps. At the present time Zong is waiting for NOC from PTA. As per PTA guideline, Zong will be covering all major cities of Pakistan. Details of the locations will soon be published on Zong’s website, Social media etc. 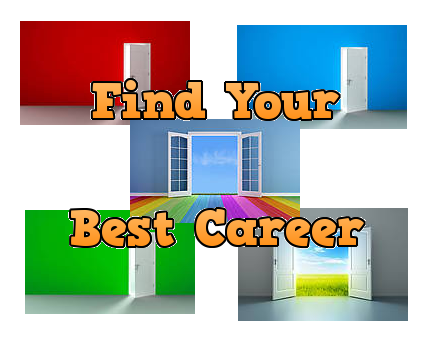 Adopting a career or profession is very difficult in 2014 but important decision of life. There are hundred plus career oriented professions in world and it is not easy to choose exact profession according to one’s own capabilities. It is very important for person who wants to use his life for career oriented purpose but choosing career is systematic instead of accidental or immediate process. I have made out list of five top careers of 2014 on basis of job opportunities, unemployment, salary and professional demand of various professions across the world. Becoming Dentist is not easy but it is top profession in my list due to least unemployment and job opportunities. Dentist is white collar job with well established office and maximum demand in market. If you want to choose profession of highest earning in 2014 in this world in all countries comparing with all professions so deliberately well established and socially accepted profession. There is lot of difference between medical and paramedical staff but keeping out registered nursing in number two in this list is quite absurd but it is completely based on fact and minimum unemployment ratio of just 2.7% after Dentist. Registered nursing is very different from conventional nursing because it gets you jobs in public sector per hour pay rate is very high as compared to other professions. Home nursing , specially hired nursing is very important profession but it must not be taken easy to socially unacceptability in developing and underdeveloped countries and domestic problems in narrow minded society. Becoming pharmacist was dream for my friend but he couldn't achieve his professional goal due to low marks in high school but it is third in my list only due to vast job opportunities with few exceptions countries. 78,000 per year jobs are produced in pharmaceutical sector only in United States. Unemployment ratio is only 3.2% but becoming pharmacist requires an dedication based studies and professional Excellency in future. I will say “If I would be a pharmacist I would have at least thousand dollars in my pocket at every time in 2014”. Computer systems analyst is home based job due to its requirement of getting out practical knowledge about computer system and computer software only instead of getting out degrees but if you have degree in your hand it would add extra points to you. It is quite exaggeration to say that BILL GATES was computer system analyst at Harvard University and he changed the fate of whole world. This career would have highest opportunities of 7, 12,000 in US and whole world with unemployment ratio of 4.0% and I will finally say “skills only matter everywhere and in this job skills only matter in 2014”. Whenever I get sickness due to physical unfitness I consult my physician because he is only person who is responsible for my fitness after me. Physician is career which is adopted by person after completing degree or high school diploma in physical therapy. It is number five in my list only due to wide range of job opportunities but mainly due to high salary range because many rich people hire personal physicians on high wages. This is career which is completely based on your own skills and physical fitness in 2014. Payza is e-wallet transaction website, which accept payments in 22 currencies and accepted in 197 countries of world. Payza accepted at millions of online stores and merchants due to efficiency and ease of payment processor. PayPal is officially not available in Pakistan so people in Pakistan use as effective alternative of money transaction in Pakistan. 2) Click on signup and select starter or personal account but personal is recommended. 3) Fill application form with valid details and click on verify email address. 4) Go to your email address and click confirmation link. 5) Verify by phone number. You can also add bank account or credit card with your account by simply clicking on add bank account option or add credit card option Payza will ask you to verify your account by your credit card by charging four dollars from your credit card or through bank wire transfer from your added bank into your account but all these methods are time consuming and needs worth care in order to get verified in Pakistan which is popular topic in online money making forums of country and internet due to fact that million dollars payments are processed every day from verified Payza accounts in country. 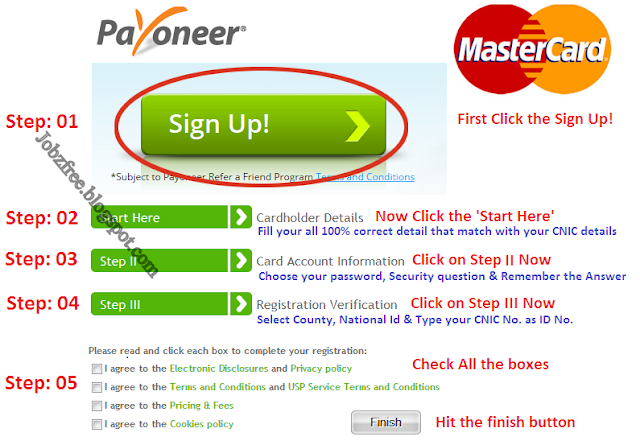 Payoneer master card is free card delivered at your home by payoneer after you signed up for your free card but question is can you use this card with Payza account verification then answer is simple yes, you can do this like other ordinary credit cards in your pocket. Just go to your Payza account, click on credit card verification, and enter your card number and CVV of master card and click on start verification but keep in mind your card must be loaded with at least four dollars and activated to use with account. 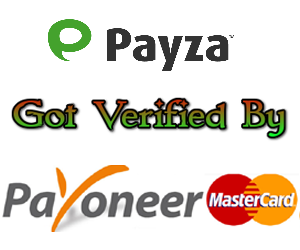 There are many benefits of using payoneer master card for verification of Payza account because it is 24/7 available for online transaction so no need to activate it for transaction for internet like other Pakistani credit cards. Payoneer master card is made up by US virtual payment service so Payza will instantly verify your account if you have at least four dollars in your Us virtual payment service account of payoneer master card. Verified account will provide you many benefits including lifting up limits for sending and receiving money, express withdraw directly into your bank account, unlimited shopping at different online stores, email invoices, payments accepted at thousands of merchants. You can buy prepaid mobile vouchers for your mobile, shopping items and domains and hosting in Pakistan through verified Payza account because it is secured online e-wallet company, which is accepted in 197 countries including Pakistan where PayPal is not accepted so that's way it is best alternative of online money transaction in Pakistan. Prime minister of Pakistan Muhammad Nawaz Sharif announced Employment Scheme For Self Employment generation program for youth, which includes six schemes. These schemes brought up by prime minister to empower youth and all six schemes are unique in their benefits for youth of Pakistan. Pakistan has 90 million youth that are almost 55% of total population of Pakistan and government has taken great step for self-employment of youth of Pakistan. Jobs and better educational structure are major problems of Pakistan youth. Government announced to give Rs 3.5 Billion to unemployed skilled people of Pakistan that are from under developed areas and have poverty score less than 40%. Government planned to increase the industrial human consumption from 3.5 million to 5 million in next five years. Borrowers will have to return loans in several years after utilizing it for community skills and welfare programs. Main purpose of program is to make people capable of doing some skillful work and then return the government of Pakistan. 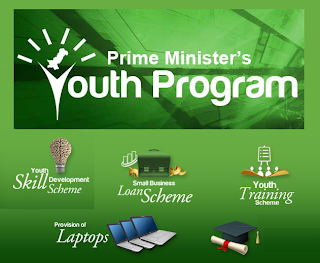 This scheme of prime minster called as scheme for youth entrepreneurs because it enables students and youth to turn their skills into businesses with the help of small loans provided by government of Pakistan on easy return conditions. Applicants must have to share their business idea with government and debt interest rate is 10% with tenure of return of 7 years. Government of Pakistan with 50% by participating private banks and 50% government of Pakistan will provide one-lac loans. 50% of loans will go to women borrowers with average loan size of 1.5 million. Youth training scheme is announced by government to provide educated youth with internships in public and private firms. Applicants must have age of 25 years or less with 16 years of education by HEC approved educational universities. RS 10 thousand for 12 months will be provided to internship students with one-lac internships all around the Pakistan. Government of Pakistan aimed to distribute laptops among students of colleges and universities across all Pakistan. Laptops will be provided to student with 60% marks in annual examination system and 2.7 CGPA in semester system. One lac laptops will be distributed among students of HEC approved universities and colleges of government sector. Cost of one laptop approximated at RS:-40,000. Government of Pakistan is aiming to provide productive skills training to unemployed youth of Pakistan through this scheme. 25000 trainees will be selected across the Pakistan to be awarded 800 million totals by government of Pakistan. Government has planned to award 3,000 rupees per month for selected youth persons. TEVTA will provide training to selected people for six months both in Pakistan and abroad. Government issued this scheme to support studies of students from less developed areas with poverty background. RS:- 40,000 is planned by government to provide to 30,000 students. Students from areas of Baluchistan, rural Sindh, southern Punjab less developed districts(Rajanpur, Dera Ghazi Khan, Bhakar, Layyah), Azad Jammu and Kashmir, FATA, PATA, GilgitBaltistan, KPK(Malakand, Kohistan, DI khan) are encouraged to apply for this scheme. Youtube.com.pk is Coming to Pakistan some officers of Pakistan telecommunication authority have claimed that YouTube is going to launch his subdomain in Pakistan soon. These sources also told us that ministry of information technology and PTA working on joint draft to give legal status and indemnity to YouTube for launching its subdomain. The website is inaccessible for more than one year. The government has demanded to remove blasphemy content from its website but Google has refused to do so due to its consumer liberty and freedom of information policies. During high-level meeting in New York and then Dubai between Pakistani and Google owned YouTube representatives about reinstating and opening. YouTube has removed blasphemy American film in some Muslim countries on request of governments of Saudi Arabia, Egypt, Libya, and Iraq by allocating them special subdomain for their countries but in Pakistan YouTube is demanding legal protection under PTA ordinance because telecommunication law of state that any foreign company which is seeking to launch its subdomain in country by using servers of Pakistan telecommunication authority must get NOC from PTA. PTA new chairman dr. Ismail shah told journalists that they are working on draft to legalize some domain. Certificate of no objection can given only when PTA ordinance is amended by parliament. Minister of information technology anosha rehman told media few days ago that website will be opened soon but he refused to give dead line. The information technology standing committees of house of senate also have directed government to open you tube. The was blocked one year ago on executive order of prime minister raja Pervez Ashraf order after release of hatred and blasphemy film in United States. Lahore high court also had order government to block access to YouTube. Former Interior minister rehman malik had open few months ago but it was again blocked on pressure of religious clerics of country and media. YouTube is educational and informational tool for students which use it for research and also medium of entertainment for home users but now Pakistani people are confident that this site will be opened soon. There are also some technical hurdles for launching subdomain of youtube.com.pk, which is demand to give it legal indemnity first but government, and officials of ministry of information technology officials are demanding to remove blasphemy content first and also approval of draft is required from both national assembly and senate to launch youtube.com.pk in Pakistan. com .pk will be customized Pakistani domain and Pakistani government will have privilege to remove some disputed content from website. In recent years website has removed thousands of videos from its website on request of American national security agency officials but internet users of Pakistan are desperately waiting for youtube.com.pk in Pakistan. Load shedding is a part of our lives now. Something,us Pakistani's have accustomed to so well that if (very rarely) effected, the light doesn't go out on it's prescribed time, it is celebrated with joy. Then again the moment of rejoice when the lights come back. Such are the little happiness's in our lives. However on a more serious note,it's such a pity to see this country in such a state. The government and our rulers have managed to disappoint us time and again by failing badly in serving the population which is their basic responsibility. It's just shameful in fact how these rulers are living luxuriously off our money and openly causing corruption. 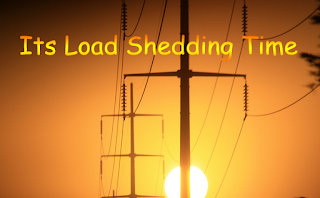 Talking specifically about load-shedding, it has caused distress nation-wide. Industries have suffered immensely and so have businesses linked to them. Those people who have electricity oriented jobs like tailors also face much hardships. Then again, students have and are continuing to suffer as they are unable to study without the basic necessities. The generator and ups businesses have undoubtedly flourished and gained popularity though. However these are just luxuries which the middle and upper classes can afford. Many people from the upper class have also started considering immigration and settlements abroad. As a result, the class difference has gone wider which is but a sad reality. The rich have only gone richer and are the ones least affected. The poor have gone poorer and understandably gotten frustrated. Productivity when performing various tasks has also decreased rapidly. Fewer tasks can be done without electricity and hence there is lesser time available otherwise which calls for more efficiency. As a result, time management is a big issue very often. On the other hand, the price of electricity and fuel has increased rapidly which has only tightened the conditions of the general population. As a whole, it has caused much misery in the country and has posed many problems which need to be fixed before it's too late. Mobilink Launched the Mobicash in Pakistan mobicash.com.pk this is 3rd service after Easypaisa & Ubl Omni, as the first mobile service provider of Pakistan. Mobilink has partnered with Waseela microfinance bank to mark its entry into the branch less banking segment. this will give the people of Pakistan complete financial liberation that they have always wanted in life. With this, customers have access to the simplest way to conduct their financial transactions, whether they are related to bills payment, sending/receiving money within Pakistan, purchasing top ups for their cell phones Jazz load. Any person can send or recieve money by Mobicash services by visiting their nearest Mobilink franchise, customer care center or retailer. Approved by the state bank of Pakistan, everyone can enjoy secure branch-less banking services with instant transactions. the method transfer payment system are same as easypaisa & omni also charges are same at the end there is no new thing for us. Rising Karachi (Governor's Initiative for Free Public Service) www.Risingkarachi.gov.pk Rising Karachi in Pakistan is a Mobile application intended to portray another & enhanced picture of KMC administrations for the inhabitants of Karachi. It is a complete showcase of Karachi Metropolitan Corporation (KMC). Portable application Download free This office gives a solitary interface to the subjects of Karachi to collaborate with every one of the towns, union committees & offices on their fingertips. Rising Karachi application is likewise accessible to general society on site. This site will be utilized to download the versatile application. It will give the rundown of Brands name and portable models on which this application can be introduced. Clients can enlist their portable number to get the download connection of their versatile. The Website will likewise fill in as an application which will be given on versatile. It will encourage the client to see any data on PC, portable PC and offer the data with others. It is an application which helps & encourages the inhabitants of Karachi in territories of Health, Transportation courses and every day marketing and so forth. Rising Karachi is a Mobile application intended for another & enhance presentation of KMC administrations for the occupants of Karachi. Components Rising Karachi is a Mobile application intended for another & enhance presentation of KMC administrations for the occupants of Karachi. It serves to expand the information & utilization of administrations gave by KMC. This office gives all data to Karachi inhabitants on their fingertips. Rising Karachi is an interface to communicate with all KMC divisions, & union committees. Rising Karachi is the most intelligent & quick medium to achieve the subjects specifically. Natives can dispatch Complaints, get Status, Give Feedback, Fetch Specific Information to any office or application methodology, Project. It gives up and coming data and cautions to the inhabitants of Karachi. Rising Karachi will enhance the administration of open declarations, modifies & diverse Campaigns. Through this application, subjects can dispatch grievances; get status, give criticism, and get particular data to any office or application strategy. Rising Karachi has made it simple to run KMC Services easily and productively. This application gives moment Information and keeps a concentrated contact list through the Karachi business repository tab. Rising Karachi is the most intuitive & quick medium to achieve the subjects specifically. It will help to build the learning & use of administrations gave by KMC. Download Free Ramadan Calendar 2012 Pakistan Here we have brought the Ramadan 2011 Calendar For Pakistan on which you can see Dates, Times, Days for all the Fasts of this Year's Ramadan in Pakistan. Insha’Allah Start from 1-29 Ramadan 1433 H) - 21 July 2012 - 20 August 2012 with sahr and iftar time with complete timetable This is the most special month in Islamic tradition in which Muslims fast for the whole month. Muslims use to do more ibadah during this month to get closer to the almighty Allah.Holy Month of Ramadan is only few weeks away from us this year. Billions of Muslims around the Globe are waiting for blessed month with lot of Excitements. Preparations for the Ramadan are also underway. Month of Ramadan is only few weeks away from us this year. Billions of Muslims around the Globe are waiting for blessed month with lot of Excitements. Preparations for the Ramadan are also underway. Staars.com.pk Success Through Staars According to the most recent survey and research, there are around 100,000 NGOs working in Pakistan. Staars inactivity ratio is 53%. However; 94% are Local NGOs (LNGOs) which embrace a huge portfolio in terms of employment to Pakistan’s young and very enthusiastic development professionals and individuals who have a charisma to set new horizons of success every day. Unfortunately, the way these professionals are being coped, that is no way a road to the success of an individual; some of the superficial reasons show that such professionals are being given either no or limited attention with reference to their own career growth and vision to life. Staars Key findings tell us that Factors include but are not limited to; only Staars training's those too are very limited in scope and task specific, absence of career counseling. Lack of mentoring, proper training and development, guidance, awareness in young professionals (what they can explore and expedite), material to read and conceptualize the ideas, motivation, approach to career concepts, vision and leadership, and Lack of inter and intra personal skills are the standing causes behind such disappointing state. Under the Staar, DevCon is offering two fellowship packages with least investment for young and mid career development professionals. Starting from Resume generation to succession in horizontal (same level & different capacities) and vertical (different levels in same or different capacities) movement of career path and growth. see detail on Staars.com.pk Success Through Staars. The Pakistan Telecommunication Authority (PTA) has Banned & Restored the Twitter over a rival empowering Twitter like Facebook client to post exaggerations of Prophet Mohammad (PBUH) on the interpersonal interaction site. Prior in the day, the LHC requested powers to piece Twitter. The portrayal of any prophet is entirely denied in Islam as profane and Muslims over the world arranged furious dissents over the production of sarcastic depiction of the Prophet Mohammed in European daily papers in 2006. Twitter Banned in Pakistan Ministry of Information Technology (MoIT) has Banned Twitter it is the national central Ministry and empowering arm of the Government of Pakistan for arranging facilitating and guiding endeavors to start and dispatch Information Technology and Telecommunications projects and tasks went for financial advancement of the nation. The national point of convergence for Information Technology (IT) which was already either missing or diffused was redressed with the formation of another Information Technology and Telecommunications. The central plan of the Ministry of Information Technology (MoIT) is building Pakistan s Information Technology competency in the twenty first century. The Ministry of Information Technology (MoIT) is taking a shot at the national plan to have a sound and manageable Information Technology and Telecommunications base which will bring about the financial improvement of the nation and the fulfillment of the vision for a superior Pakistan. The Ministry is keeping up consistency with the approach and accomplishments made in the IT & Telecommunications segment following its beginning and to adapt to present day difficulties and meeting necessities of the IT and Telecommunications, the strategy is routinely redesigned that was the narrative of Twitter Banned in Pakistan . The annual 47th Mango Festival Mirpurkhas 2012 will be held on June 4 to 6 with proper manner as Mirpurkhas is the city of Mango and more than better arrangements would be made than last year with complete security to the masses so that no any untoward incident might be occurred. Mirpurkhas, May 28 2012: the district administration announced on Monday schedule of the 47th annual mango and summer fruit festival According to an official handout, the festival will begin on June 4 and continue till June 6 at Shaheed Benazir Bhutto mango festival hall. Sindh Minister for Agriculture Syed Ali Nawaz Shah will inaugurate the event. He directed to ensure more than participation of the abadgars and growers in the festival. At the Mirpurkhas Mango festival will be held on June 4 to 6 while other exhibition and program's would remained continue from June 2 to 6. A meena bazaar for women would be organized in the police ground, a cricket tournament would be held at the Satellite town ground, a Malakhra competition would be held in the evening at fruit farm and a wrestling competition would be held at Jinnah hall. The XEN hesco to ensure supply of 24 hours power to the festival. Participators have given fruitful suggestions in this regard. It said that a seminar would be organized at state life building on June 5, a boxing competition at railway station Mirpurkhas at 8pm, football tournament at Gama stadium at 3pm, cycle race from Belaro Shakh to Jarwari Shakh at 8am, Kabaddi competition at Gama stadium at 4pm and a Wanjhwatti competition would be held at 9am at Gama stadium. Chief Minister Syed Qaim Ali Shah would give away prizes among winners and runners-up at a ceremony at the Shaheed Benazir Bhutto mango exhibition hall. www.soberpk.com A Muslim Sober Society Introduction by Pakistani Scientific Organization of Basic and Elementary Research Founded by Professor Munawar Ahmad Malik in Rawalpindi-Islamabad, Pakistan Scientific Organization of Basic and Elementary Research SOBER consist of those who think and struggle for themselves and their people. SOBER is a dream. Anyone that have new idea and is ready to realize this dream is part of SOBER. SOBER consist of those who think and struggle for themselves and their people. SOBER is a dream. Anyone that have new idea and is ready to realize this dream is part of SOBER.